High-quality custom graphics is a very powerful marketing tool. No matter if you want to create brand awareness, informational signs, or promote your services and products, with our one of a kind window, wall, and floor graphics you can transform your shop, office, or warehouse into an attractive visual experience for your customers and employees. Our professional designers can create just about any graphic design you can imagine. In other words, if you can dream it we can design it. Let’s become business partners and create amazing graphics so you can stand out and attract new customers to your business. All of our custom graphic services are top of the line, and our professional designers and installers are ready to take your order and start working on your project right away. Just let us know what your needs and ideas are, and we will handle the rest. 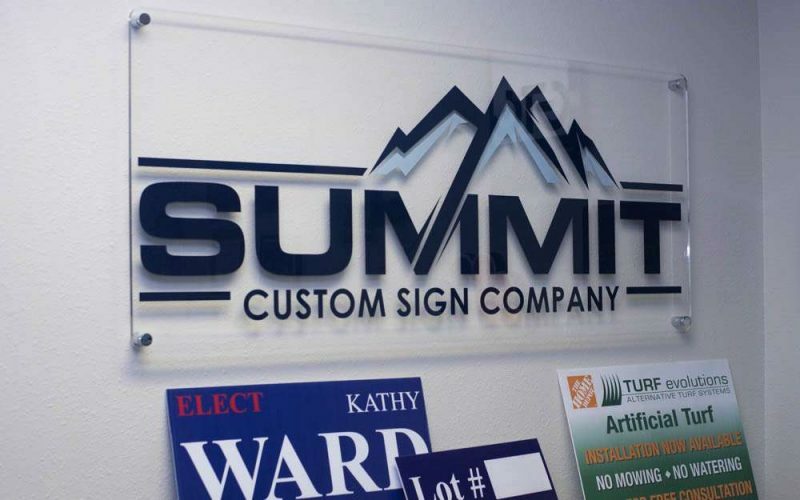 We are a locally owned and operated signage company, committed to creating long and trusted business relationships with our customers based on honesty, quality work, and efficiency. Our primary focus is to provide world-class signage solutions to small, medium, and large businesses and help them stand out, improve brand awareness, and assertively communicate their message. Browse our website and request a free estimate, place an order online, or learn more about our products and services. If you prefer, give us a call at 719-694-9146 and talk to one of our customer care representatives so we can assist you with all of your commercial signage needs.